2014 has been a great year, I met and fell in love with a wonderful guy, his wife is becoming a great friend, and as the holidays approach, I feel like celebrating. Problem is, holidays are full of traditions, and family, and as a secondary partner, I’m sort of the outsider, not sure what it’s fair to ask for, but don’t want to spend the holidays alone. Help? Congratulations on your new relationship! It sounds awesome. Holidays can be stressful for polyfolk. Families don’t always know about, or welcome multiple partners. Established couples can find it difficult to change long-held traditions when a new partner comes along. Add in multiple holiday parties, the question and cost of gifts, and Uncle Joe, who can’t figure out who this pretty new stranger is at the holiday table, and it’s tough. I’m not answering a question today, I’m asking one. I hope you’ll allow me this liberty, and share with me your thoughts. It was so easy, slipping my hand into hers, laughing and smiling. I hugged her goodbye at the end of the night, and kissed her softly. I was struck by how good it felt… how true to me. I have spent a year believing I wasn’t looking for a girl. I wasn’t up for that kind of relationship, with the drama and hurt of a woman’s emotions. I had been burned and I wasn’t going back for a very, very long time — if ever. But, she is just so damned cute , and sweet, and genuine. And he’s a gentleman with a growl in his throat, and just the hint of a little boy in him. Strength and vulnerability. He is easy to like. I expected that. She is easy to like. Easy to kiss. She’s a surprise. I feel so much more myself tonight, like I didn’t get it wrong with Dragonfly Girl, who broke up with me, and insisted Shepherd did, too. Tonight, I felt like I could honestly say it’s not that I am flawed. I really wasn’t fooling myself. Whatever mistakes ended our triad, it wasn’t that I didn’t want or love her. It absolutely wasn’t that I am not bisexual. It’s too early to tell if these two new friends are a good fit, too early to know where this is heading — and for now, flirty friends is okay by me. But tonight, I felt good, and for the first time in a long while, a beautiful woman held my interest more than a charming man. I can’t help grinning like a Cheshire cat, at my reflection in the mirror. Wow. This is me — polyamorous, bisexual, woman — rebuilding my world. Being deeply loved by someone gives you strength, while loving someone deeply gives you courage. – Lao Tzu. On occasion I get the chance to have coffee with someone, and discuss polyamory, ethical non-monogamy, and how I found myself on this journey. This week, I had that chance again, with a very charming man. We met, as I said, for coffee one morning, and ended up strolling from the coffee shop to a nearby restaurant for a long lunch on the patio. The conversation was pleasant, deep, and intellectually stimulating…and as we shared, I was reminded that my journey has been far from simple. In fact, I believe my entire life has been particularly intense, and complex. 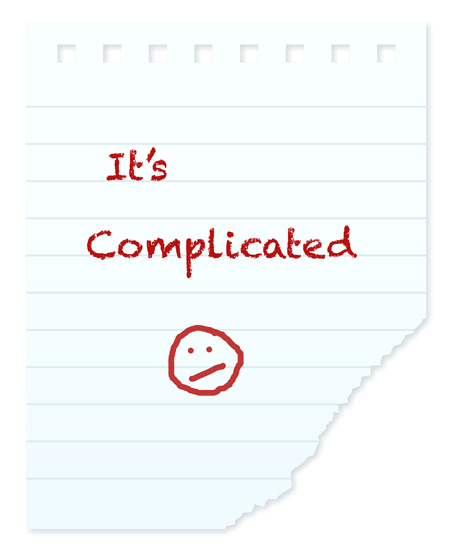 It’s quite possible that I’m wired for complication. I recognize that I tend to fill my life with activity, to dig into thoughts and ideas that challenge me, that I thrive on stress, and struggle to balance just enough with not too much. I am much more content when there are multiple people in my world, with whom I can share connection, friendship, love and relationship. In truth, if things get too simple, I get bored. I seek out connections with others, and generally I look for people who are deep thinkers, self-improvers, and those who are interested in falling in love. I consider myself this type of intense person. Conversely, I’ve spoken with people who choose not to be non-monogamous, because of the complication, the risk, and the inevitable hurt, and I’ve learned that for me, putting up walls against pain is not an option. If I block out the risk of pain, I also put up walls against intense joy, contentment, and happiness. This is how I am wired. This does not mean that I don’t have room in my world for people who prefer simplicity, in fact, I’m in a lifelong relationship with a man, who loves me wholeheartedly, and who lives by a much simpler philosophy than I do. I appreciate that about him. It takes all sorts to make up this diverse and wonderful thing we call humanity. So, my musings continue, as I try to sort out they why of my polyamorous wiring. My new gentleman friend has not yet determined whether his life has room for multiple, ethical, romantic relationships, and that’s okay. I am grateful for the friendship, and the conversation that has raised these questions in my mind. I’ve come to at least one conclusion: In my experience, those “it’s complicated” relationship statuses you find on social media sites are pretty accurate — especially when it comes to non-monogamy. Relationships are dynamic and the more people you involve, the more communication you need, the more opinions matter, the more needs and desires come into play. My current, lingering question is this: Is there some connection between ethically non-monogamous poly folk and a tendency to be more intense, complicated, and desirous of less simplicity induced boredom in life? I suppose inquiring minds want to know. No Rules?! Are You Serious? My girlfriend wants to open our relationship, but that scares me. What kinds of rules do you have in your poly relationships? First, Kudos to you, for stepping out into new territory, and exploring ways to meet your partner’s request. You rock! I’m an ink-stained, messy, poet-girl, I share life with three lovers, via frequent-flyer-miles, long drives, love letters, and texted poetry. I’m a vocabulary addict with embarrassing penmanship. Find my most recently published work on the OK Poly Network and in “Literary Sexts Vol. 1. 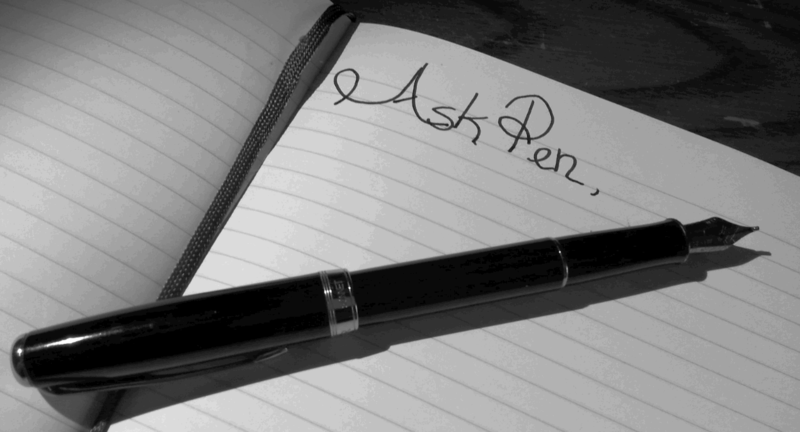 (Words Dance Publishing) Send questions for “Ask Pen” to askpen@okpolynetwork.com.